This time it is YOU who will help us decide what charity cause we will be helping. Leave your ideas in the comment section under this post or elsewhere in our Facebook community, like and share it with your friends. We’ll appreciate you story explaining why you’d like us to choose this charity case. 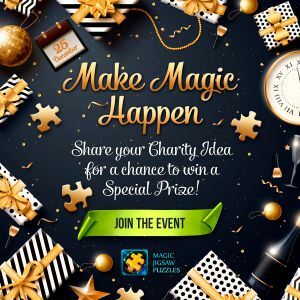 We will choose the best charity idea and donate $25,000 to it. We will even give a special gift to the best idea author – the annual subscription!